Senator Nelson, who helped form CPRIT in 2007, has remained at the forefront of criticizing the organization’s missteps, and has worked to spearhead the reform efforts in the Senate. The bill will also have to pass the Texas House as well before Governor Perry can sign it into law. “Nelson’s bill incorporates the recommendations of a critical 2012 state audit that exposed potential conflicts of interest within the agency and called on CPRIT to “significantly improve the transparency and accountability” of its grant process. There is no mention in today’s media coverage or from Texas lawmakers whether or not the recommendations outlined by the CPRIT Oversight Committee last month were incorporated into the final draft of the bill. The oversight committee’s recommendations would have potentially limited the commercialization and cancer research funding efforts of the organization. BioNews Texas has reached out to CPRIT for clarification on this matter. In addition to using the 2012 state audit as a guide for writing the Senate bill, Sen. Nelson also “. . . accepted an amendment by [Senator] Davis that would require the posting of donor information on the Internet,” which will further the measures for increased transparency at CPRIT.
. . . would have required CPRIT records to be subject to disclosure under the state’s open records law. Nelson said she worried that the requirement could possibly expose proprietary information, but she and Davis agreed to work on the amendment to remove any proprietary threats. 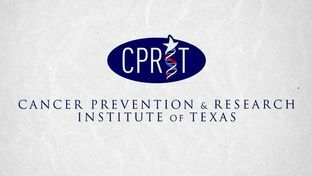 The fast-tracked passage of the Senate bill comes as a surprise, in the midst of a week that has seen the CPRIT scandal intensify with a new probe into the CPRIT Foundation, which announced earlier in the week that it will officially close in 60 days. With the Texas state budget due to be passed, it is likely that the legislature is looking to fast-track CPRIT reforms into law so that it can be included into the 2013-2014 budget. At present, CPRIT has been left out of the budget plan.